britain earl photography blog: it's not too late for Christmas cards! i design about a million different Christmas cards over the course of the year, and tend to send 2 or 3 different ones out. i'm that indecisive. 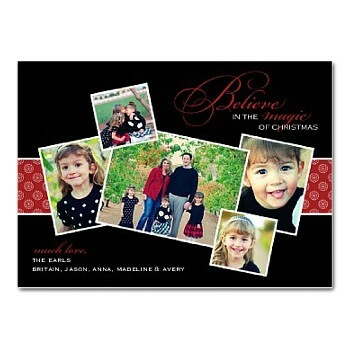 this is the first one i've ordered so far, it's not mine, it's Shutterfly. each design can be ordered in 5x7 or 5x5 cardstock, with a matte or pearl finish. you can choose photos from your 2010 session with me, or send jpgs you already have. they are $2 each and are delivered one week from the day you finalize your order. additionally, most of these designs can be adapted to Costco sized prints. i can email you a jpg for uploading on their website. the cost of the digital card is $25. then you'll have a unique photo Christmas card in about a day! email me at britain(at)britainearl(dot)com if you'd like to order!